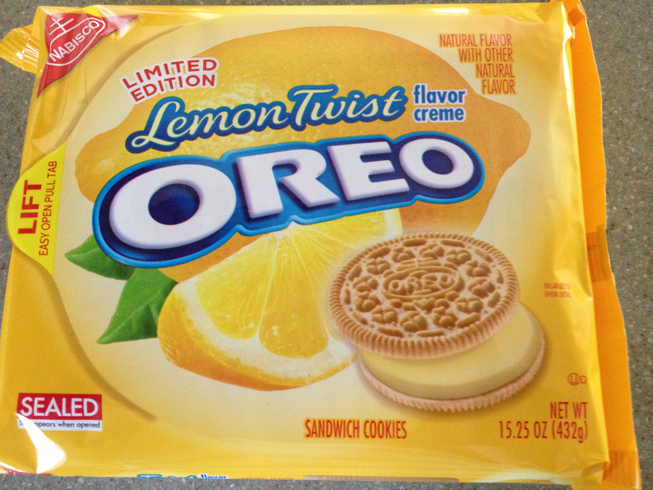 In my quest to try new flavors of Oreos, I found the Lemon Twist flavor at the store a couple weeks ago. I’m not a huge fan of lemon flavor things, whether it’s a pie, cake or cookie. But I ended up liking these. They are not that sweet and it doesn’t taste all weird or chemical/artificial flavor. The lemon is the just the right amount of zest. I think I like the golden cookie vs. the chocolate cookie, which tends not to leave your mouth all chocolate-ty and crumbly. 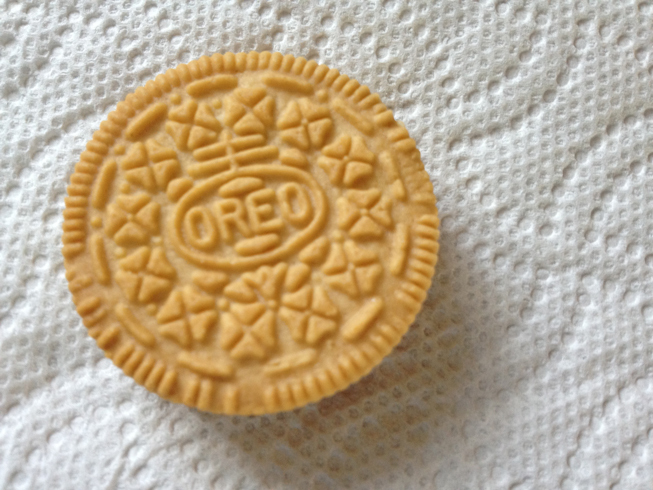 Of course, there is no way the chocolate and lemon would work for an Oreo, at least that’s my opinion. The idea that this is a different flavor makes me wonder how many different flavors of Oreos Nabisco will end up creating. 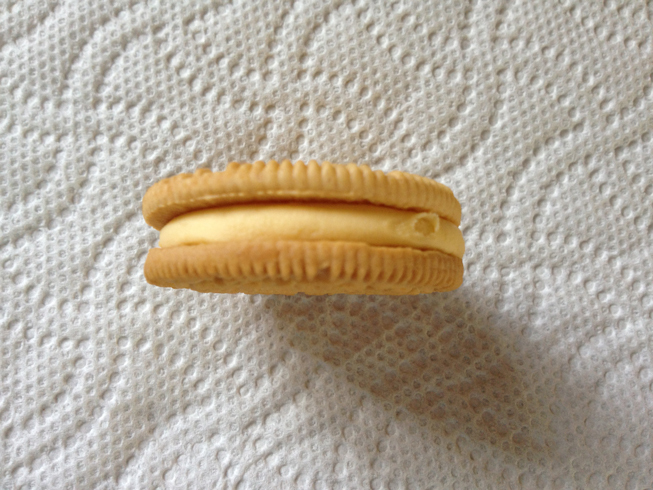 Can a Tiramisu Oreo be that far off? Ahh! Tiramisu would be fun! I want a cookie dough one. I bet they have done that! I hope you can find them, too. If you have Kroger stores (or at least ones owned by Kroger) in your area, I would try there. I bought these at a local grocer. Lemon? Nice! Katie and I reluctantly tried the watermelon ones an loved them. Very refreshing. I love lemony things, so I’m hoping they show up in my neck of Redneckistan soon! If you like lemon things, you should like these.